RHB-90BBW is specially designed for determining 3 different scales of honey: Brix level (58 - 90%), Baume Specific Gravity (38 - 43 Be') and Water Contents (12 - 27%). 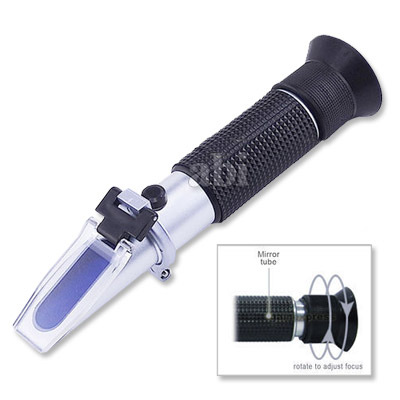 This honey refractometer is useful to control the sugar concentrations of honey related foods and beverages. Checking the ripeness of fruit in the field, verifying product qualtity after harvesting or controlling concentrations during processing and packaging, refractometers provides critical information to ensure quality of products.